RPHP is the only organization in the United States measuring the levels of radiation in our bodies from nuclear contamination. The Federal Government no longer does such testing, nor do state agencies, nor do other private foundations. 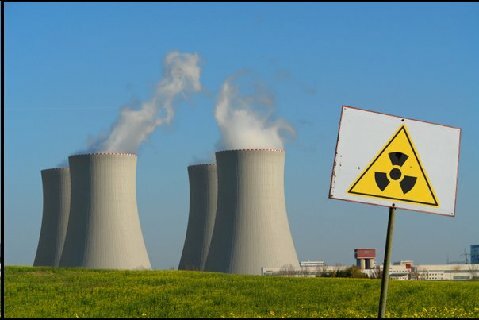 At a time when the U.S. government is considering resumption of nuclear weapons tests and is encouraging construction of new reactors, it is especially important that the public and policy-makers understand the risks posed by nuclear technology. We ask you to help us now, to continue our study of these risks. All contributions you make to RPHP will help support our continued work in studying the health effects of radiation and educating the public as to its dangers. Every dollar helps. No contribution is too small. We are a registered non-profit organization, and donations to RPHP are tax deductible. You can make a contribution right now by clicking on the Donate button. Or click here to send an email to our Executive Director, Joe Mangano. Be sure to include your address with the check so that we can send you a thank you letter which will give you backup for the IRS when you take your tax deduction. The Radiation and Public Health Project was founded by concerned scientists and incorporated as a 501(c) (3) non-profit organization in 1994. Although small, RPHP already has made a significant contribution to understanding health effects of radioactive chemicals entering our bodies. We have published six books and 22 peer-reviewed journal articles and have testified before nine government panels. We have received extensive media coverage, including The New York Times, Washington Post, USA Today, BBC, and National Public Radio. Our scientists were featured in Gary Null’s award-winning documentary Fatal Fallout. Foundations that have helped fund our work include The Louis and Harold Price Foundation, Educational Foundation of America, Applica Inc., Hopeless Records Sub City Records, Lichterman Loewenberg Foundation, Alex and Agnes McIntosh Foundation, University of Medicine & Dentistry of New Jersey, Oak Financial Group, Inc., The Health Foundation of South Florida, the Westchester County (NY) Legislature, William M. Weiss Foundation, and The Zimmer Family Foundation, as well as various individuals including David Friedson, Alec Baldwin, Christie Brinkley, Gail Merrill, Burton Goldberg, Glenda Greenwald, Betty Guardiani, Marjorie Roswell, Pamela Slater, Karen Frankel and Bruce Montague, Jay and Jane Gould, and Dr. Ernest Sternglass.